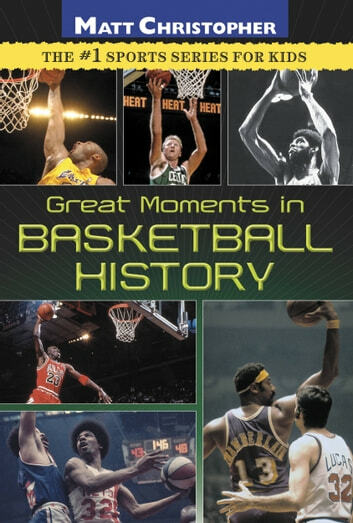 The history of basketball is chock-full of famous buzzer-beating shots, amazing game-saving plays, and thrilling maneuvers that defy gravity. All fans have their favorite memory, just as they have their favorite team and their favorite player. Now here's a book that offers a look back at more than fifteen of the sport's best moments. The Block, The Steal, The Shot. Chamberlain, Abdul-Jabbar, Bird, Jordan, and James. Each entry captures the nail-biting tension of the minutes leading up to the play, as well as information about the superstar players that made them and the teams that they played for. Packed with facts and action, this is a book young basketball fans will reach for again and again -- and because it comes from Matt Christopher, young readers know they're getting the best sports writing on the shelf.